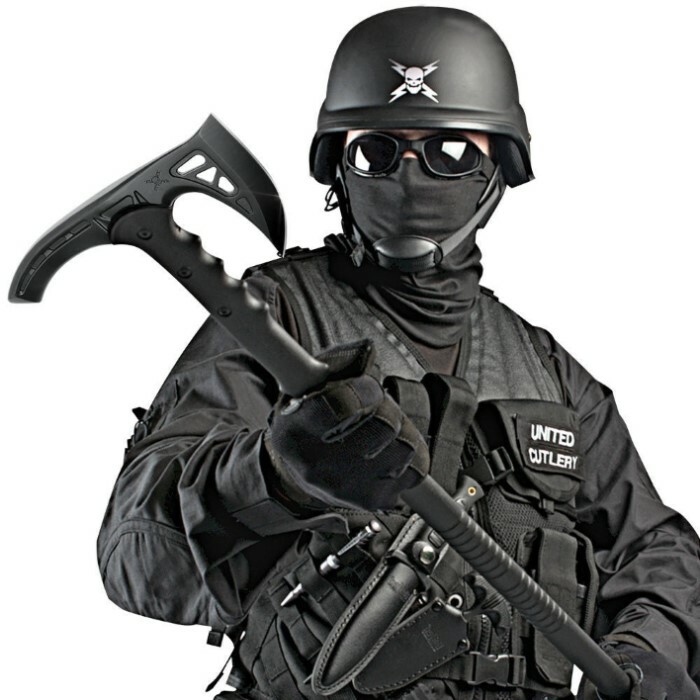 Not designed for splitting wood, this anti-riot axe is engineered for Law Enforcement use. The extra long reach and multi-purpose head make this tactical axe suitable for self-defense, making entry, containment, and much more. The solid steel blade is cast from 2Cr13 stainless steel and finished in black. The head features both a cutting edge and a thick spike, and can be used as a handle for walking support. A snap-on blade cover/sheath is included. 37 in. overall. I have one and I love it so much. It is very cool and useful. I have an actual axe for doing heavy lifting so the guys that are chopping down huge trees with this are missing the point! This tool is great for taking along as a light carry. 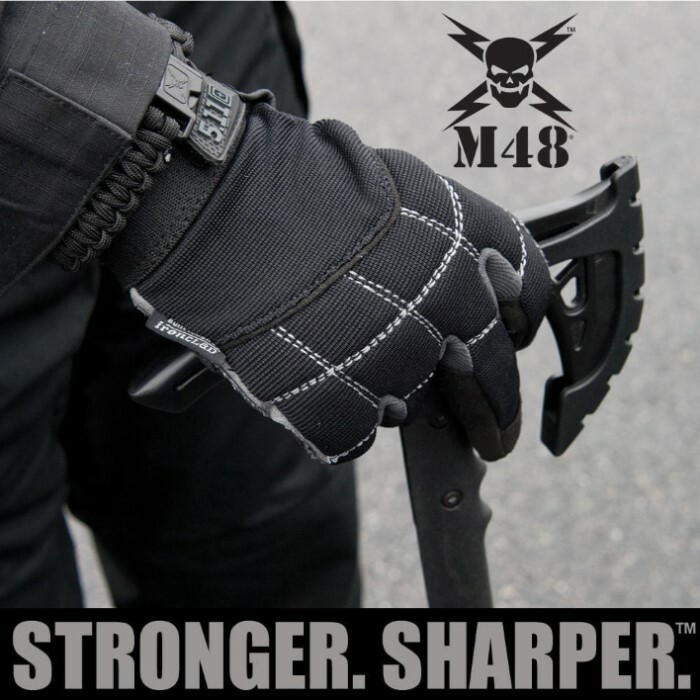 Very versatile, use as a tool or as a self defense weapon in any situation you may find yourself in on the trail. I just picked up two more recently as a BOGO, what a deal. My son and dad will love them as much as I do! It's a perfect cane height for me. Great tomahawk head/cane handle. This thing is incredible. Fast shipping as always and it was super cheap. Thanks BudK! At a measly 38", it can only be used as a 'hiking staff' if you are about 5'. Maybe 5 and a half. Otherwise, you're just walking through the woods with a longish hammer. 100% useless to actually climb or hike with. A nice piece of eqipment to have.... Good balance, a very versatile weapon by all means... Arrrived razor sharp and ready for action. Everything you would want- sturdiness, a great grip,well balanced and very sharp. Good looking too! Took it out into the woods and gave it a hurl and really had to pull to get it out of a tree. 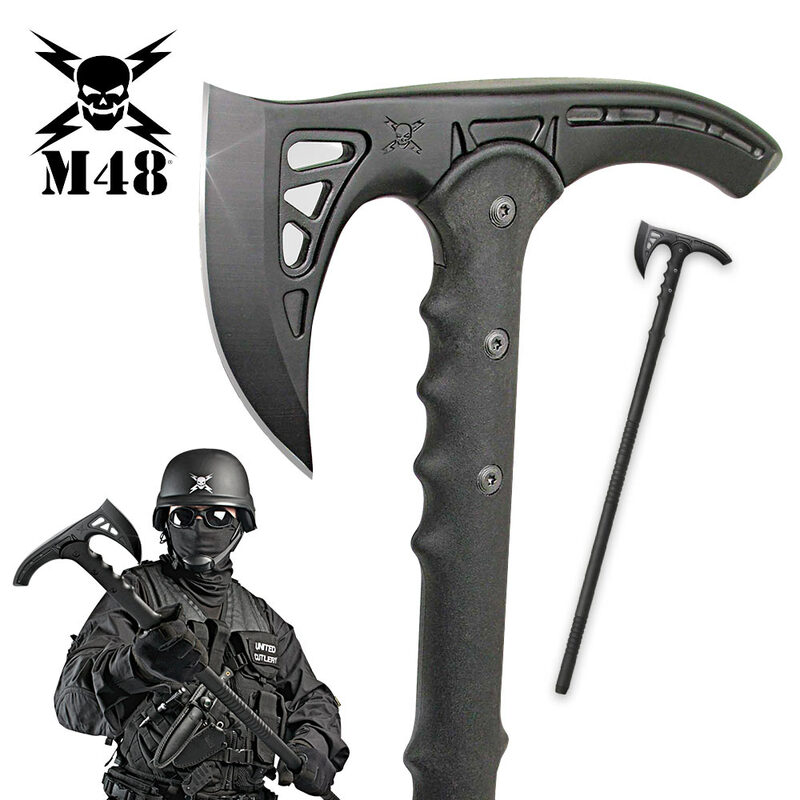 Does not make a good walking stick, if it was any longer, it would through the balance off.Just a great tomahawk.